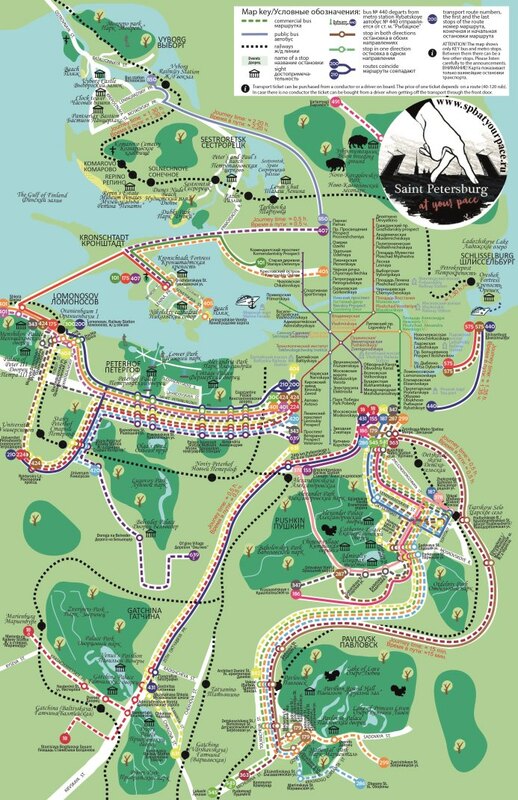 In this article I have made a selection of official tourist maps of Saint Petersburg, which you can download and print. These maps will allow you to move around the city and its surroundings: main tourist attractions, monuments, palaces or transport (Metro, bus, trolleybus or tram). 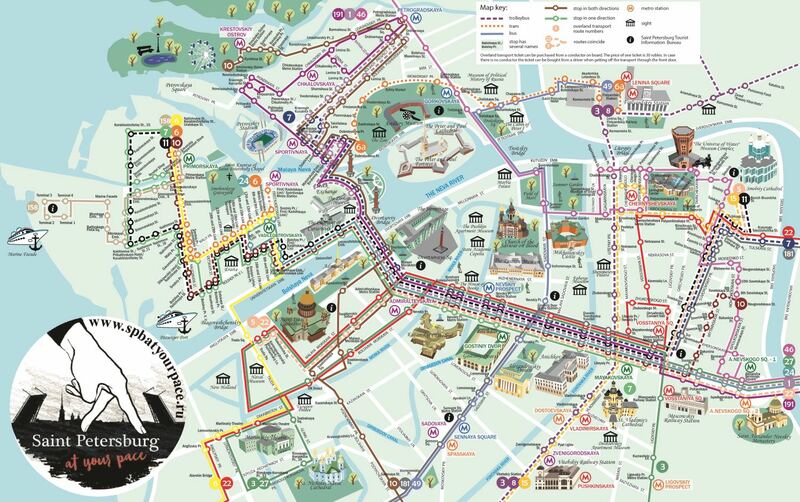 The official tourist map of the city has been prepared by the tourist company “Saint Petersburg at Your Pace”. You can download it for free through the tourist information website of St. Petersburg (JPG). You can also get it for free at any of the tourist information offices in the city. Through this map you can easily explore the city center on foot or through the different trolleybus, tram and bus routes in Saint Petersburg. You can easily reach the Hermitage, Mariinsky Theater, Fortress of St. Peter or St. Paul or Moskovskiy train station. The location of the tourist information offices in the city is also indicated on the map. Some frequent questions that tourists ask when they arrive in St. Petersburg are: How do I get to the Peterhof? How can I get to the Catherine Palace in Pushkin (Tsarskoe selo)? How to get to Pavlovsk, Gatchina or Lomonosov (Oranienbaum)? How to get to Vyborg or Kronstadt? 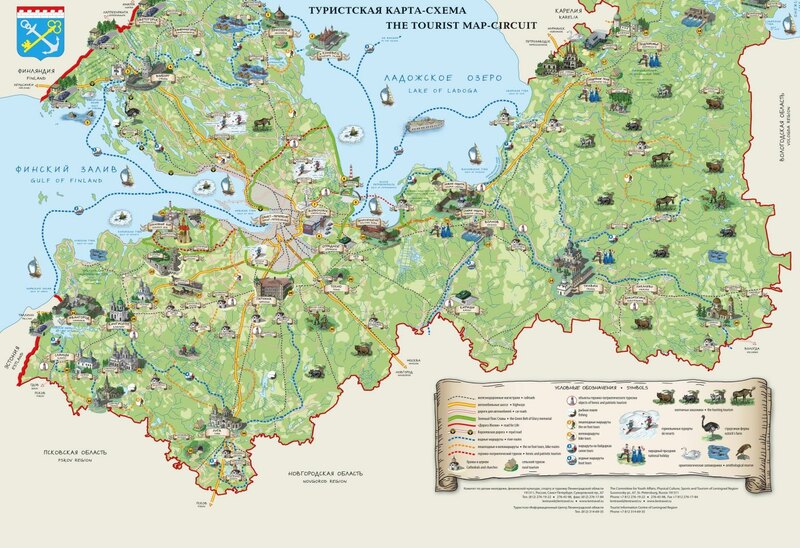 The map of the suburbs of St. Petersburg (JPG) offers information on means of transport through the suburbs of the city. Saint Petersburg is the administrative center of the Leningrad region, which borders Estonia, Finland and the regions of Karelia, Pskov, Vologda and Novgorod. The map of the Leningrad region (PDF) will let you know how to get around the region. For example, with the Allegro train you can go from Saint Petersburg to Finland in 3 hours, with the train Lastochka you can go to Veliky Novgorod in 4 hours or with the Baltic Express you can get to Tallinn. 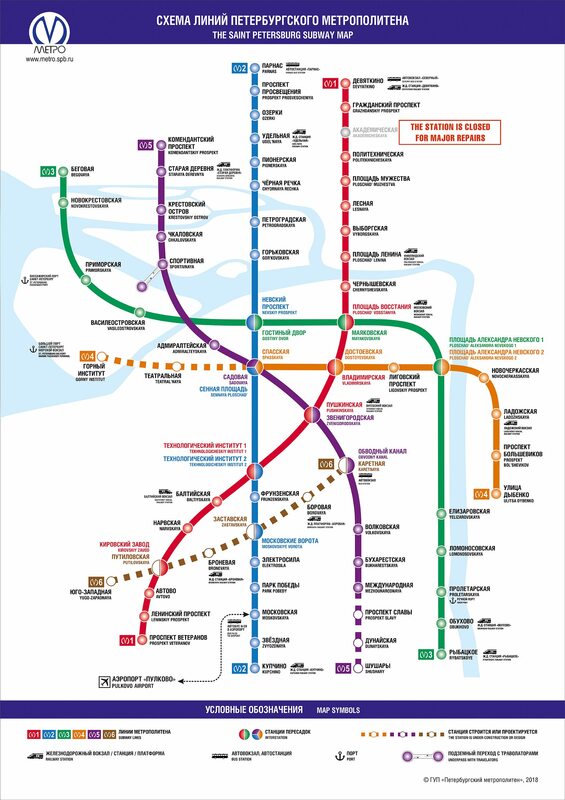 Another essential map is the St. Petersburg Metro, which you can download from the official Metro website (JPG). Finally, I also recommend using the Yandex Maps and Google Maps mobile applications, for which it is convenient to have a Russian SIM card. Once you have all the maps, I suggest you make this itinerary through Saint Petersburg, depending on the days you are going to spend in the city.